Triangle Thunder now has 2 Teams!! After our 3rd place finish and subsequent promotion to Division 2, our team has seen an influx of attention and players. Our program has ballooned to 19 players. This includes both men and women from various ethnic and racial backgrounds and ranging in age from 17 to 66. As a result of the increase in numbers, this year for the first time ever we will be able to field a Division 2 team AND a Division 3 team. Now we can provide a place for players to play at a recreational level and a highly competitive level. We are not the only program in the country to have multiple adult teams, but there are only about 12-15 programs in the country that do. We have been building our program and culture to be ready for this jump and we are proud to be able to make this leap. None of this would have been possible without the help of our sponsors and donors. We are proud to be able to serve our community with this team, but we have needed your support to do so. So from all of us with the Triangle Thunder, thank you for your love and support. We appreciate it more than you know! 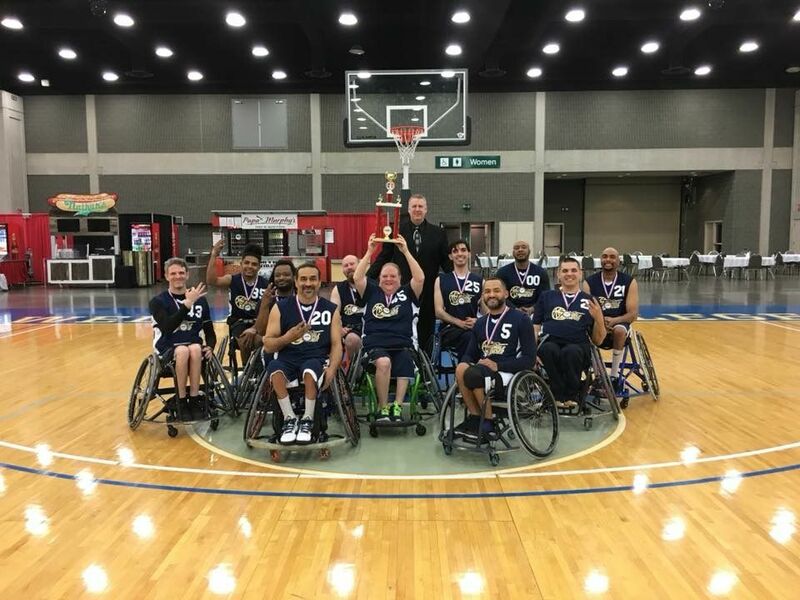 Triangle Thunder comes in third in the nation in Division 3 at the 2018 National Wheelchair Basketball Tournament in Louisville, KY.
Triangle Thunder win the 2018 CWBC Conference Tournament!! Thunder invited to NWBA DIII National Tournament in Louisville, Kentucky. 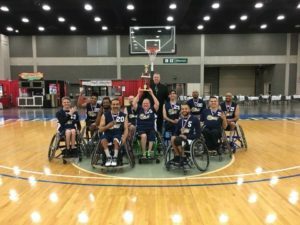 The National Wheelchair Basketball Association and Louisville Sports Commission are excited to play host to the 70th anniversary of the National Wheelchair Basketball Tournament (NWBT), presented by ABC Medical, on April 12-15 in Louisville, Kentucky. The NWBT has been held in Louisville since 2013, with this being the 11th time the tournament has called Kentucky home.